Green Mount Cameroon Project 6 Months Now! 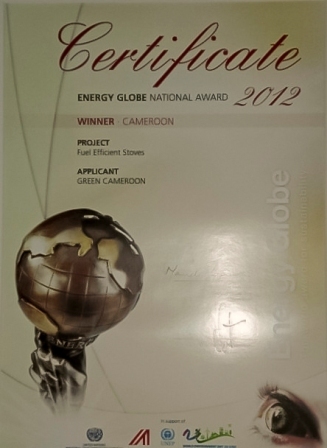 Dear Friends and supporters of Green Cameroon. We are pleased to bring you feedback on our Green Mount Cameroon project which we started in October 2016 supported by the Eco-Peace Leadership Center and Yohan-Kimberly. The project aims at putting in place a mechanism and know-how for the replacement of lost forest in the Mount Cameroon Region. Through the project, alternatives source of wood for general household heating and cooking will be put in place which will reduce the pressure that is presently mounted on our forest by community’s high demand for wood. At the same time community members and students are being educated on the importance of forest and what they can do to preserve it. 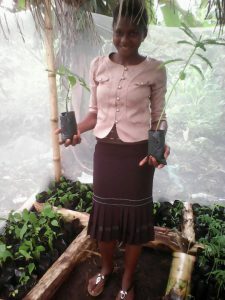 They are also given skills through training that can help them run economic activities through the production of seedlings of important economic tress of the region. 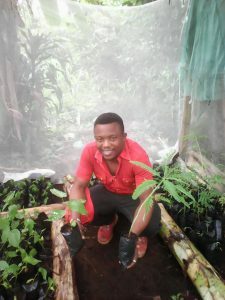 Through the project, tree nurseries have been established in 3 communities of the Mount Cameroon Forest Region. These nurseries also serve as training ground for community members who are currently receiving hands on training on Tree Propagation and Nursery Management. This practical phase comes after a capacity building workshop which was organized early this year at the Fakoship Plaza Conference Hall with resource persons coming from the Cameroonian Institute for Agronomic Research (IRAD). The project targets the production of more than 6000 trees for planting in the Mount Cameroon Forest Region and beyond. It is also expected that these nurseries will continue to serve as a constant source of tree seeds and seedling to their surrounding communities. Tree species propagated include medicinal, ornamental, fruit and those suitable for the protection of water catchments. Arrangements are currently ongoing with beneficiary communities towards the planting of these trees in the various villages. Green Cameroon wishes to thank Eco-Peace Leadership Center, Yuhan-Kimberly who funded this project and all its supporters for their unfailing support and encouragement so far. We promise to bring you constant updates on the projects as the days go by. Join Green Cameroon and be part of The Change You Need!!! Feel like supporting us? Please click the Make a Donation button bellow to support our activities and be Part of The Change!! !